It's that time of year! Time to start planning a trip to France to soak in the unique atmosphere of the Christmas markets. Mulled wine, roasted chestnuts, crepes and waffles - you name it. 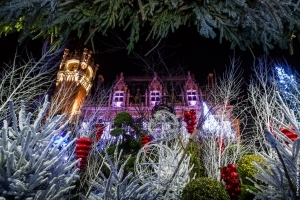 Visit Northern France in winter and be spoiled for choice with the number of Christmas markets dotted all over the region. 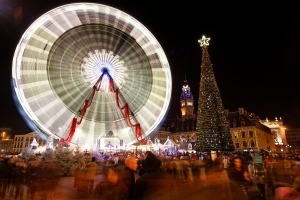 Lille Christmas Market, Amiens Christmas Market, Arras Christmas Market, the list goes on. Here is our selection of Northern France's best Christmas markets ! The biggest Christmas market in the north of France... Amusement rides, illuminations, carols, activities for young and old alike and over 135 chalets in the town centre for all your Christmas gift ideas. 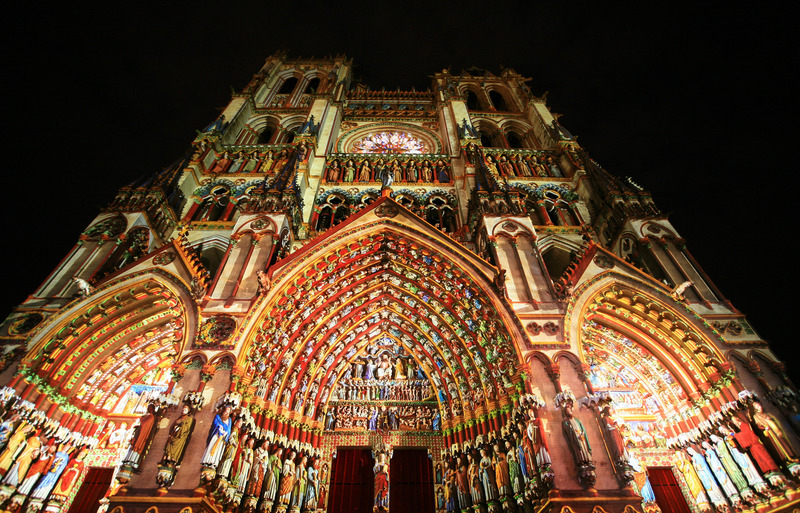 The stand out feature of the Amiens markets is that for the month of December, the UNESCO World Heritage listed Amiens Cathedral is illuminated in a spectacular sound and light show - a feast for the eyes. Roughly halfway between Lille and Amiens, and just an hour’s drive from the Channel ferry port of Calais, Arras draws visitors year-round for its splendid Flemish-style architecture, some of it UNESCO World Heritage listed. But it’s at Christmas that this city is at its most atmospheric, when a Village de Noël takes over the Baroque Grand’Place, featuring 130-plus chalets. Wander amidst the gorgeously illuminated Flemish-style architecture and beautiful Christmas trees, stopping to admire the window displays in Arras’ wonderful array of independent shops. 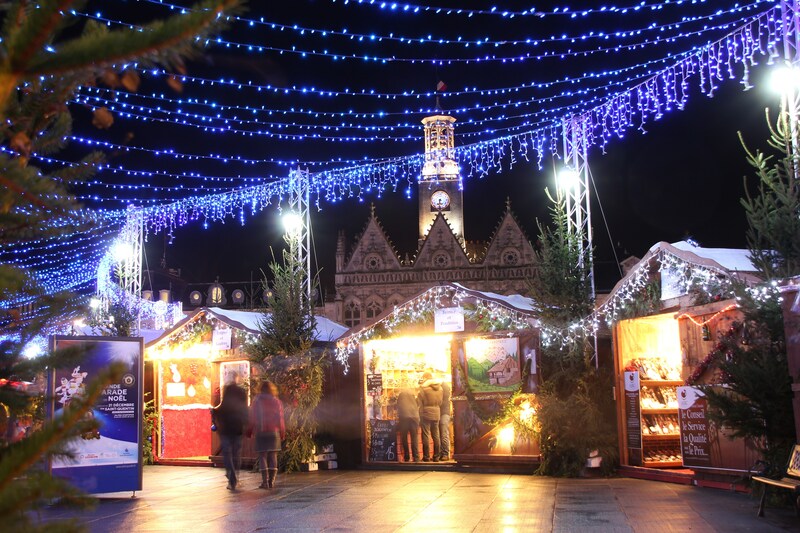 Eighty stalls selling local specialities such as Saint Nicholas gingerbread cookies, plus storytelling by an elf in Mother Christmas's Cottage, make Calais’ main festive market one of the highlights of its lively Christmas festival. One of Europe’s best-loved Christmas markets can be found in the city of Lille less than 90 minutes from London by direct Eurostar or 75 minutes by car from the Channel port of Calais. This market is perfect for those wanting to combine a shopping trip with the atmosphere of France at Christmas time. Here, you can ride the glittering big wheel and a traditional carousel, listen to stirring carol concerts, and browse the artisan wares of around 80 wooden chalets selling nativity figurines, Christmas decorations and other unique gifts and handicrafts from both France and further afield. This Christmas market is a smaller and very traditional market in the town square. It is known as one of the most beautiful markets, and while your here you can see the incredible art deco architecture.